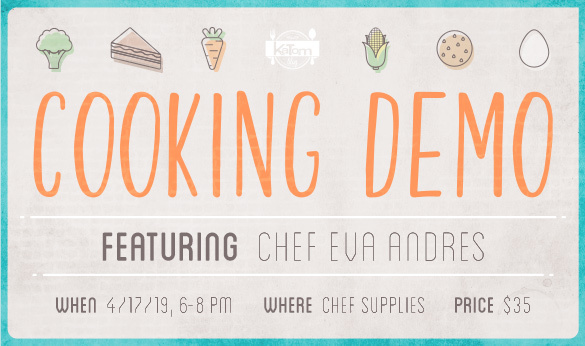 KaTom is excited to announce another cooking demonstration with Chef Eva Andres! Join us at Chef Supplies on April 17 to enjoy authentic French cuisine prepared by a classically trained chef. Call 865-225-1545 to reserve your spot today!